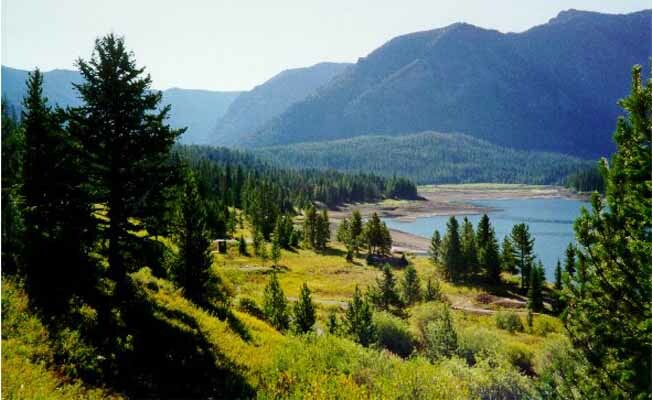 Hood Creek Campground is located on the shore of Hyalite Reservoir. At an elevation of 6500 feet, the campground encompasses an area of 5 acres,contains 25 camp sites, and one group picnic area and three day use picnic areas. Restrooms, picnic tables, fire rings, trash pick up service and drinking water are provided. Pets are allowed. Fishing and boating may be enjoyed nearby with a boat launch accessible. There is an extra charge for second vehicle and the largest parking spur is 16 feet by 50 feet. Maximum stay is 16 days. Reservations for this campground can be made online at www.recreation.gov.